Get the app that is revolutionizing math practice! 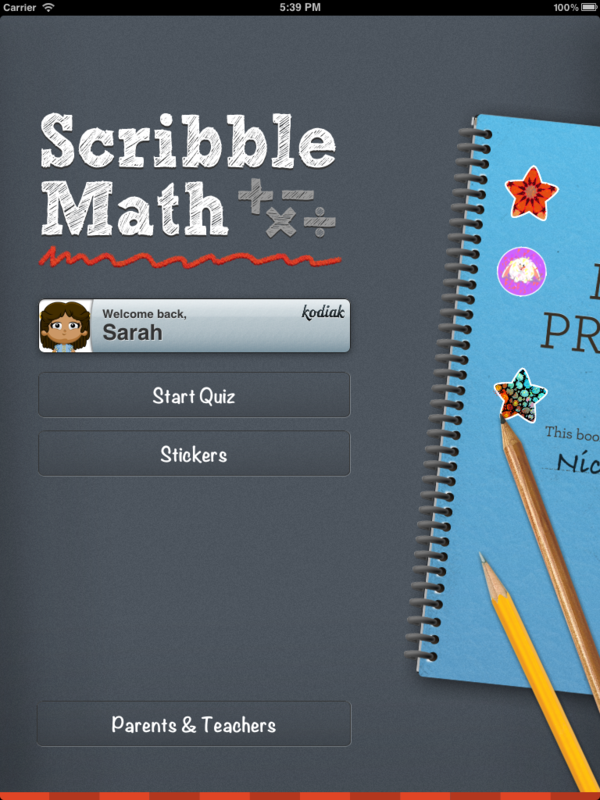 ScribbleMath is more than just a digital practice book. It’s intuitive interface lets children in grades 1-6 practice addition, subtraction, multiplication and division, and it’s packed with features that make it a prefect complement to math instruction. Adjust problem difficulty, change how students answer questions, add time limits, and more. Designed with the Common Core in mind, ScribbleMath comes with pre made quizzes that mesh with the problem-solving and value understanding standards for each grade. Improving children’s math understanding requires more than just practice. To help learners understand the problems they get wrong, we’ve built a powerful explanation engine into ScribbleMath. Each time a question is answered incorrectly, the student can pause the quiz they’re taking and walk through the solution. ScribbleMath reveals the correct answer step by step, explaining everything from arithmetic to basic equations with negative numbers. Watch as subtraction is animated using blocks on a number line, or see the solution to -6 x X = 126 broken into more than fifteen steps: isolating the variable, performing long division, and then negating the answer. Helping a room full of students improve their arithmetic just got a little bit easier. Quiz questions can be multiple choice, but that’s pretty boring. ScribbleMath includes a ground-breaking “write and circle” mode that makes answering natural and fun. 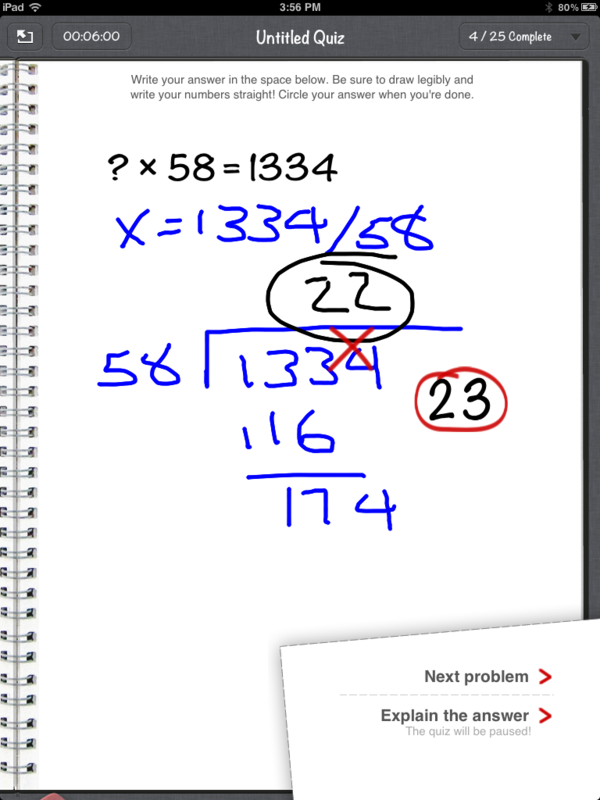 Students can work the problem by drawing onscreen and circle their answer to see if they’re right! 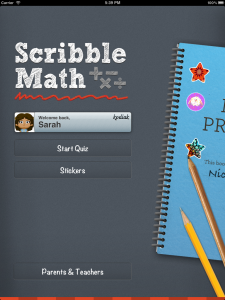 As students use ScribbleMath and complete quizzes, they unlock stickers they can use to decorate the cover of their ScribbleMath practice book. In our user testing, students loved being able to make designs and patterns to personalize their virtual books. ScribbleMath was designed from the ground-up to help you understand and follow your children’s learning. 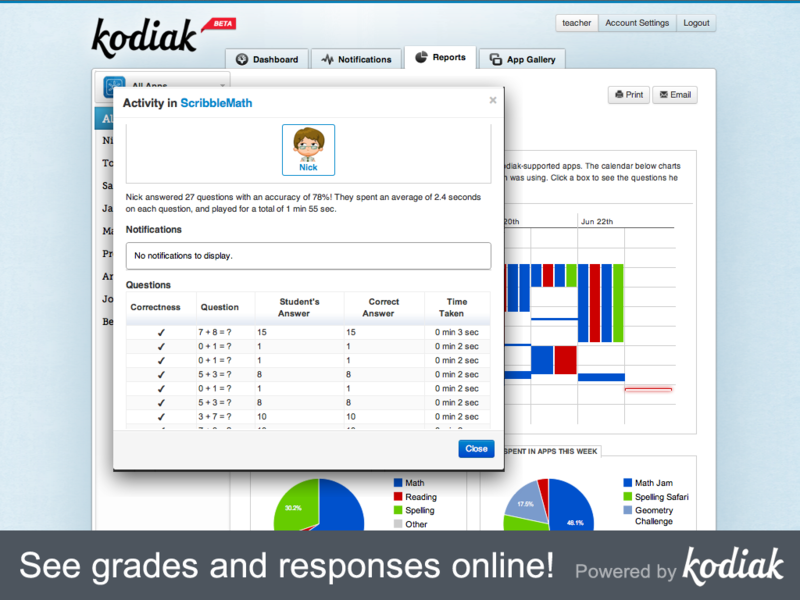 ScribbleMath ties into the free Kodiak Reporting tool, allowing you to see when your children are using the app, identify questions they’re missing, track their improvement over time, and more. 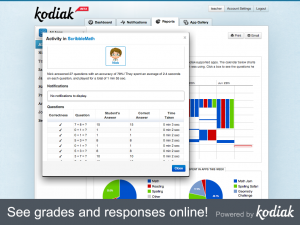 Kodiak keeps you in control of your children’s data, and brings you reports you can use for secondary assessment. Kodiak supports multiple students and multiple iPads beautifully. You can create a profile for each student, and their progress is synced to the cloud so their unlocked stickers are always available. The quizzes you set up are also synced between iPads tied to your Kodiak account. Create a quiz on one iPad and students can take it on all the devices in your classroom. Yes, you can finally stop changing the settings of every iPad on your cart. 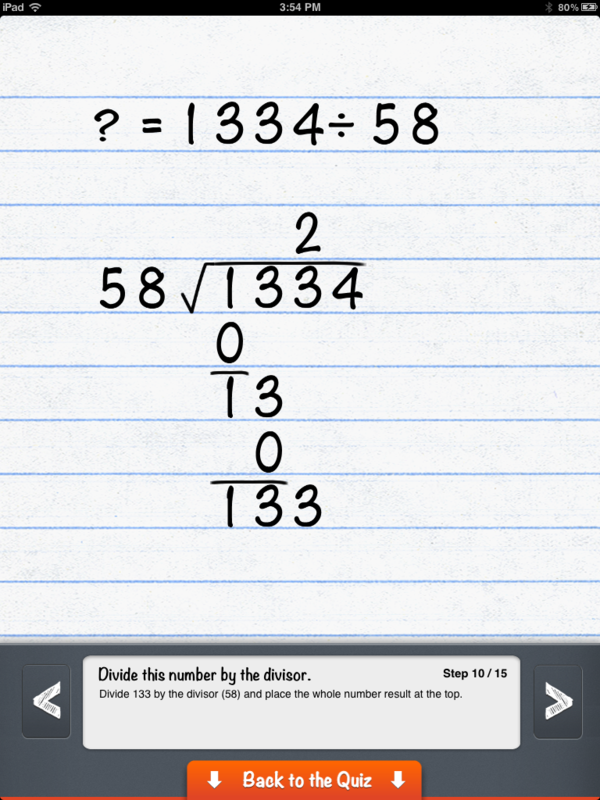 ScribbleMath is available today on the iTunes App Store! Want to try before you buy? We’ve released a free version intended for kindergarteners and first graders learning addition! Download it today and help us create the best apps for learning math. Create your own custom quizzes, or start with templates designed with the Common Core in mind. Let students take quizzes to earn stickers and decorate their digital practice books! Add time limits to quizzes to emphasize speed. Design quizzes with addition, subtraction, multiplication and/or division problems. Specify the size of operands that appear in problems. Numbers up to 100 are supported. Choose between three answer methods: Multiple Choice, Number pad, and Write and Circle, a groundbreaking response mode where students draw and circle their answers to check their work! Give students space to work! During a quiz, they can draw on the screen in three different colors to work through problems. Correct wrong answers. When students miss a question, they can choose to view a step-by-step explanation of the correct answer! Create separate profiles for each student — profiles are synced to the cloud and across apps, and can be administered online! Use the Kodiak web dashboard to get a live view of each students’ screen and identify children who need your help in real-time. View detailed reports of each students’ progress over time, complete with each question they’ve answered. Great for secondary assessment! Print reports to share with parents.